One of the the holders of the four Lord Souls. Resides within the Tomb of Giants, and is the leader of the Gravelord Servant covenant. Nito is extremely slow and won't attack nearly as often if you aren't in full view. By keeping the central column of the cavern between you and Nito, you can take out the skeletons and attack him with spells or arrows as he lumbers around the bend. 1. Not really an attack, but additional, "normal" skeletons will side with Nito in trying to kill the player. However, Nito's attacks can damage them if they are hit. No matter who or what kills the skeletons, they respawn throughout the fight, unless the player kills them with a Divine weapon, which will stop them from respawning. 2. Sometimes, a scream resembling the one heard when casting a Poison Cloud in Demon's Souls will be heard. 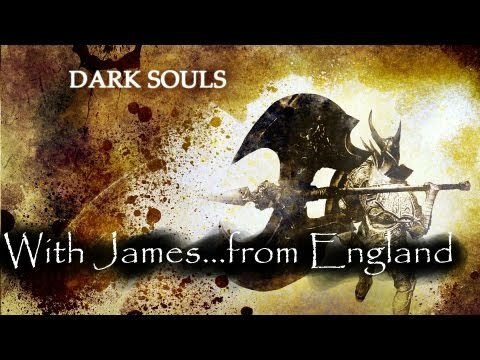 Approximately three seconds later, near the end of the scream, Nito will thrust his sword into the dirt and one or more orange swords similar to those in the Gravelord Sword miracles will burst out of the ground. 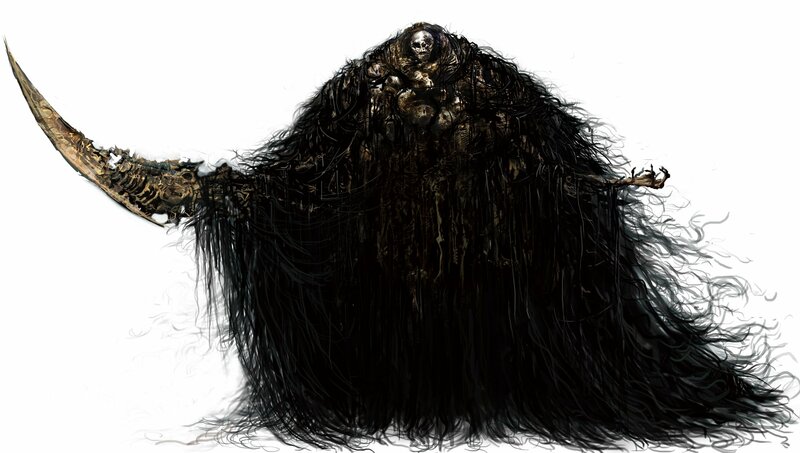 Unlike the apparent randomness of the Gravelord Sword miracles, Nito's swords will target the player and any summons. These must be dodged, however if the player dodges too early he will still be hit. Viable strategies are to either roll continuously as soon as you hear the scream and until the sword bursts, but obviously that is not the best course of action. The best thing to do is to "count" the second before the sword bursts, and dodge right before it. If it hits, it will throw you into the air and fill a substantial amount of your toxic meter. 3. Also has an explosion like attack, where he will noticeably "charge up" for a second or two and then let out a wave of some sort which will do damage to the player. It can be blocked for reduced damage and increases the 'poisoned' meter. As for dodging, don't even try. Get away from him. 4. Nito's standard melee attacks using his sword are not very damaging and are usually a slashing motion. However, all his melee attacks fill your toxic meter and most players will become toxic in two hits. (Painted guardian or Shadow Sets are good for this, equip the Bloodshield if you have it for further resistance). Nito has two observed swings--a right-to-left close-in slash, and an leaning overhead chop. The overhead chop has an extremely long recovery time, even if it hits you--unlike most enemies, who will take longer to recover if they miss. 5. Nito can also employ a rarely used but highly damaging grab attack. Staying to his sides or back is an easy way to avoid this. Alternatively if you are grabbed, repeatedly tap L1/R1 in order to escape the grab entirely. Fortunately this attack has a huge tell: his hand will start glowing, so that should give you enough time to get away. It is highly recommended upon entry to this boss fight that you DO NOT go anywhere near the other end of the arena, as that will attract the attention of the Large Skeletons, which will make your time surviving this ordeal that much harder. When the fight begins, stay where you are and let the smaller skeletons come to you. If you have a divine weapon, dispatch them with it, if not, keep knocking them down and let Nito come to you. Make sure you equip either armor with high poise or the Wolf's Ring to prevent your combos on Nito from being interrupted. Aside from Nito's sword dance (the large orange blade that pops up from the ground at the end of the scream), his attacks are easy to dodge. Strafe around him when he gets close and whack away. When he charges up his explosion, back peddle/roll out of the way but again, be sure NOT to get into aggro range of the big skeletons. Once that move is done with, the smaller skeletons should be mostly, if not entirely wiped out for a short amount of time. Take this opportunity to move in and do some damage. He also moves extremely slowly and is very susceptible to fire, so going in with an array of Pyromancy fireball/chaos fireball spells will do a lot of damage fairly safely. If you kill his small skeletons with a Divine weapon, Nito becomes one of the game's most laughably easy bosses for a heavy melee build. You can easily strafe behind him for free hits, and all of his attacks except the Sword Dance and the Poison Wave can be blocked, resulting in negligible damage. Equip the Ring of Fog and the Slumbering Dragoncrest Ring. Drop down into the boss arena, but do not move. When the cutscene is over, Nito will slowly approach you and you will not aggro any of the skeletons, leaving you to take him out with your bow or spells. If you wish to summon phantoms in order to complete this boss fight, the designated summoning area is at the 2nd bonfire in the Tomb of Giants.